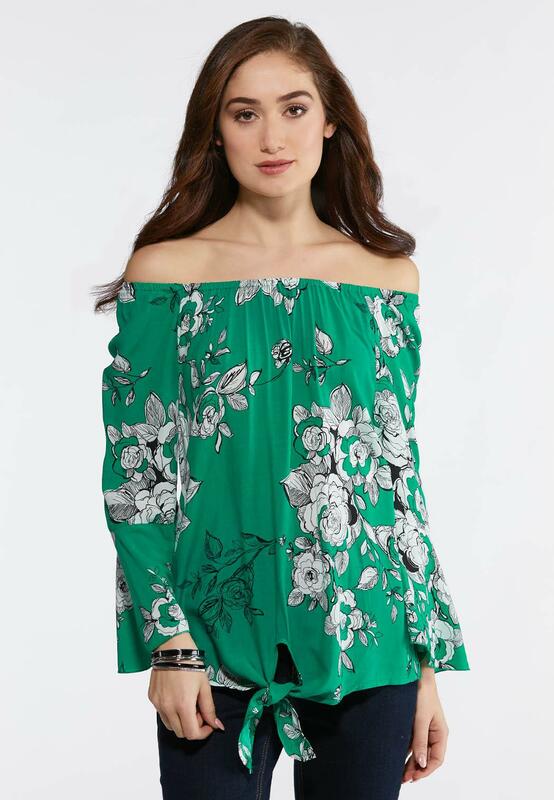 Feel feminine and carefree in this gorgeous green top, featuring a versatile on or off the shoulder design, tie hem detail, bell sleeves and sketch floral print. The top is great. I will be adding to my spring/summer wardrobe but I had to go up a size. If you are too heavy that may be an option if you like the top. 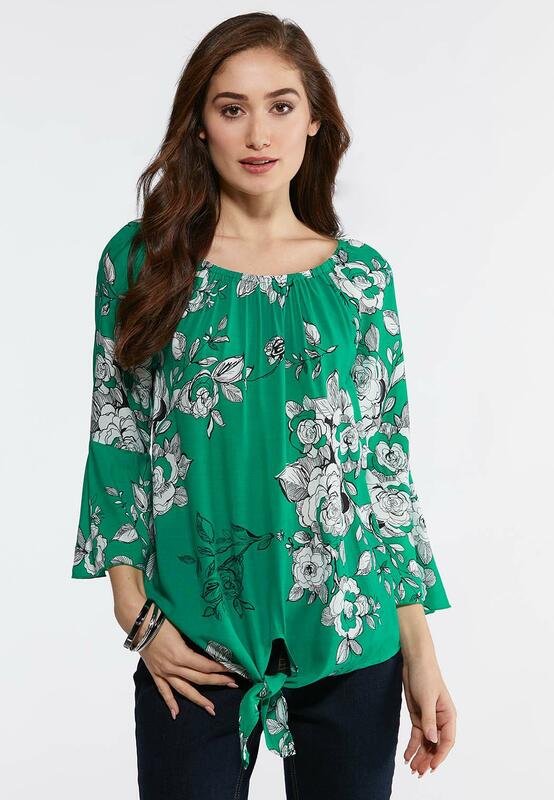 I like this top, its very versatile. 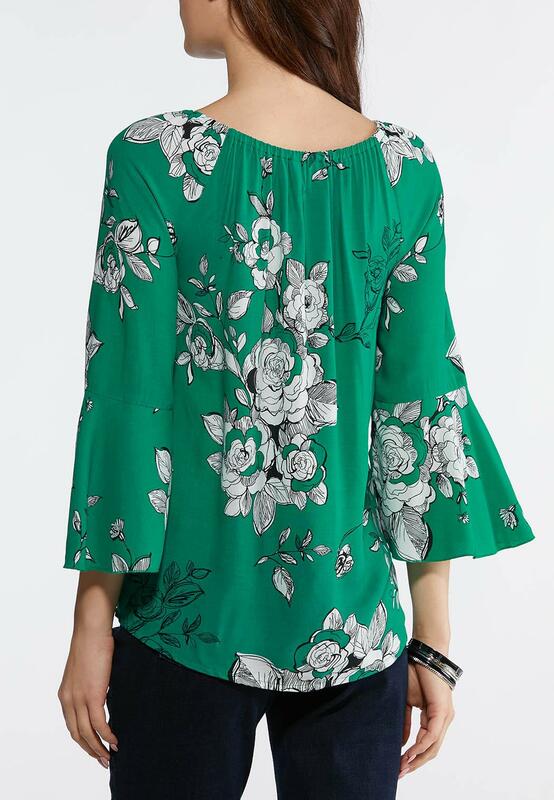 I like that you can wear it a few different ways, and love the bright green color. I do agree with the other reviewer though, it doesnt hurt to go up a size!